A 4o C rise is twice the level considered safe for the planet. 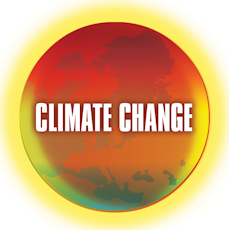 The document guiding future business planning at the Anglo-Dutch multinational assumes that carbon dioxide emissions will fail to limit temperature increases to 2o C (3.6o F), the internationally agreed threshold to prevent widespread sea level rise flooding, famine caused by drought driven desertification and a collapse of food production and ecosystems. The paleoclimate record also shows that CO2 levels of 400 ppm is likely already enough to melt all the ice in the Arctic, and later the Antarctic, releasing enough water to elevate sea levels by 60 to 70 meters. Carbon feedback from thawing Arctic permafrost will likely add 0.4° F – 1.5° F to total global warming by 2100. Global sea level rise isn’t just happening, now — it’s happening much faster than previously thought, according to new research from climate scientists at the University of Tasmania, in Australia. The study, published in the May 2015 Nature Climate Change, found that sea level rise has been speeding up over the past two decades compared to the rest of the 20th century. This contradicts previous satellite data dating back to 1993, which appeared to show sea level rise accelerating in the 1990s, but slowing slightly over the past decade. “That slowing has puzzled scientists because it coincides with an increase in water entering our oceans from Greenland and West Antarctica,” Christopher Watson, the study’s lead author, said in a press statement. Using the newly recalibrated data, the researchers found that sea level rise between 1993 and 1999 — the earliest segment of satellite data — was overstated. According to satellite data, over that six-year period, global sea level rose 3.2 millimeters (about .12 inches) per year; using Watson’s recalibrated data, sea levels probably rose closer to between 2.6 to 2.9 mm (about .1 to .11 inches) per year. This over-estimation of sea level rise gave the appearance of sea level rise slowing in the previous decade, when it was actually accelerating at a rate of between 0.041 and 0.058 mm (.001 to .002 inches) per year. Sea level rise from melting glaciers and ice caps may be unexpectedly accelerating. The evidence is overwhelming: Earth’s polar regions are losing ice at a stunning rate. There’s so much ice being lost from Antarctica, for example, that scientists can detect local changes in gravity. Scientists have observed a sudden increase of ice loss in a previously stable region of Antarctica. The ice loss in the region is so large that it causes small changes in the gravity field of the Earth. Antarctica has dozens of ice shelves – massive, glacier-fed floating platforms of ice that hang over the sea at the edge of the continent’s coast line. A remnant of the so-called Larsen B Ice Shelf, which existed for at least 10,000 years, partially collapsed in 2002, but what is left covers about 625 sq miles, about half the size of Rhode Island. The largest of the ice shelves is roughly the size of France. These ice shelves hold back massive glaciers that extend far back into the Antarctic continent. When the ice sheets are gone those massive glaciers accelerate their slide into ocean, accelerating sea level rise. Using measurements of the elevation of the Antarctic ice sheet made by a suite of satellites, the researchers found that the Southern Antarctic Peninsula showed no signs of change up to 2009. Around 2009, multiple glaciers along a vast coastal expanse, measuring some 750km in length, suddenly started to shed ice into the ocean at a nearly constant rate of 60 cubic km, or about 55 trillion litres of water, each year. This makes the region the second largest contributor to sea level rise in Antarctica and the ice loss shows no sign of waning. West Antarctica ice mass has entered a state of “irreversible collapse” that essentially locks in centuries worth of sea level rise. Over the past few decades, the North Pole Arctic region has warmed more than the south pole Antarctica region, or any other place on Earth. The Greenland Ice Sheet is losing mass faster than ever before, and is expected to keep melting with consequences for global sea-level rise and ocean circulation. Greenland’s fastest glacier, Jakobshavn Isbrae, is now moving toward the sea four times as fast as it was 20 years ago during the summertime. A recent survey of all Greenland glaciers shows an increase in speed by about 30 percent in the last 10 years. The Greenland ice sheet is more vulnerable to climate change than previously thought, say scientists. A new model developed by researchers at the University of Cambridge shows that the enormous ice sheet – which contains enough to water to raise the ocean by 23 feet, if lost altogether – will become much more vulnerable as temperatures rise. The model uses new evidence which shows that the ground beneath the ice sheet is soft and spongy, rather than the hard and impermeable bedrock assumed by previous studies. The soft sediment gets weaker as it tries to soak up more water, making it less resistant, so that the ice above moves faster, the study finds. The soft, slippery ground will be forced to absorb more water as the climate warms, as pools of water form on the surface of the glacier, before filtering down to the bottom. This makes the ground even more slippery, causing the ice to flow more quickly into the sea, causing the oceans to rise. As earths ice masses melt, oceans rise and America's coastal cities and lands will flood with increasing regularity until eventually, flood waters no longer recede. Tidal flooding in Miami, Key West Florida and other U.S. coastal regions will increase dramatically over the next 15 years as seas continue to rise. It’s Not A Question Of If - It’s A Question Of How Fast. Can you imagine sea levels rising 82 feet higher, and more, than today... Eminent climatologists think a "Great Flood" is inevitable if current CO2 emission rates continue. BBC Documentary, "Earth Under Water"
Based on research by NASA astro-biologist and paleontologist Professor Peter Ward and a group of respected American climatologists, the Earth Under Water video is an eye-opening documentary. This BBC documentary uses scientific evidence past and present, archive footage, location photography and CGI to explore the terrifying consequences should the atmosphere's CO2 levels treble over the next 100 to 300 years, as predicted. Step by step, the BBC documentary paints a chilling picture of the world as the sea levels rise. The film also questions experts and politicians about what measures can be taken now to stop the current rise of CO2 emissions, and explores how extreme engineering will buy us time. But the message of this film is stark, spelling out in graphic detail the Earth's apocalyptic future that we have been avoiding. Research scientists have linked extremes of weather with global warming. Extremes have always happened and are, by definition, rare events. For the last 30 years, climate scientists have carefully explained that no particular climate event could be identified as the consequence of a rise in global average temperatures driven by the release of carbon dioxide and other greenhouse gases from the burning of fossil fuels. If the temperatures go up to the 2°C that nations have agreed should be the limit, then the probability of precipitation extremes that could be blamed on global warming rises to 40 percent. They are less precise about heatwaves, but any rise could be sharp. If temperatures rise globally by 2°C, we would expect twice as many extreme heat events worldwide. A scientist recently told the European Geosciences Union that some regions of the planet will see unprecedented drought, driven by climate change, before 2050. Nearly half the state of California (47%) remains in an exceptional drought, the driest possible condition, with most of the rest of the state locked in an extreme drought, the next-worse category. California is entering the fourth year of a record-breaking drought creating an extremely parched landscape. Governor Jerry Brown declared a drought State of Emergency in January 2015 and imposed strict conservation measures statewide. Farmers in the Central Valley are pumping so much groundwater from aquifers that the state is literally sinking! Giant reservoirs have been drained like bathtubs, and when hydrologists went looking for the Sierra snow pack this spring, they couldn't find one. State officials have been looking at issuing curtailment orders to the state’s most senior water rights holders to cope with the drought; growers in the Sacramento-San Joaquin Delta have among the most senior rights of all and were thought to be immune before this year. In a significant move to conserve California’s water supplies, state officials Friday adopted a water use plan that will reduce supplies to Delta farmers by 25 percent. Washington Gov. Jay Inslee this month declared a statewide drought emergency on Friday, with snowpack and stream flows dramatically below normal. “We’re really starting to feel the pain from this snowpack drought," Inslee said at a press conference. "Impacts are already severe in several areas of the state. Difficult decisions are being made about what crops get priority water and how best to save fish. ... We have some tough, challenging months ahead of us." A press release from Inslee's office warns that the Department of Agriculture predicts the drought will cause $1.2 billion in crop loss this year. Washington's agriculture-rich Yakima Valley, which is known for its cherries, apples, mint and wine grapes, will likely see significant production declines. Drought emergencies also have been declared in parts of Oregon and Nevada. The Colorado River Basin, which supplies water to 40 million people in seven states, is losing water at dramatic rates, and most of the losses are groundwater. A new satellite study from the University of California, Irvine and NASA indicates that the Colorado River Basin lost 65 cubic kilometers (15.6 cubic miles) of water from 2004 to 2013. That is twice the amount stored in Lake Mead, — which used to be the nation’s largest reservoir —, which can hold two years' worth of Colorado River runoff. As Jay Famiglietti, a NASA scientist and study co-author wrote here, groundwater made up 75 percent of the water lost in the basin. Lake Mead is a critically important water storage facility for the the southwestern part of the U.S. Amid one of the worst droughts in millennia, record lows at Lake Mead are becoming an annual event. This month, Lake Mead set a new record low for the first time since the construction of the Hoover Dam in the 1930s, the lake’s surface dropped below 1,080 feet above sea level.The West’s drought is so bad that official plans for water rationing have now begun. Since around 2000, Arizona has been withdrawing its full allotment from the Colorado River. When Lake Mead’s level drops below 1,075 feet, the U.S. Bureau of Reclamation, which manages the river, will declare an official shortage for the first time ever — setting into motion a series of already agreed-upon mandatory cuts in water outlays, primarily to Arizona. Arizona law prioritizes cities, industry, and tribal interests above agriculture, so farmers will see the biggest cuts. While the western drought’s epicenter in California, Arizona is the state that will bear the brunt of the West’s water shortage. Why Arizona? In exchange for agreeing to be the first in line for water rationing when Lake Mead’s level drops below 1,075 feet, Arizona was permitted in the 1960s to build the Central Arizona Project, which diverts Colorado River water 336 miles over 3,000 feet of mountain ranges all the way to Tucson. It’s the longest and costliest aqueduct in American history, and Arizona couldn’t exist in its modern state without it. Now that a water shortage is imminent, another fundamental change in the status quo is on the way. As in California, the current drought may take a considerable and lasting toll on Arizona, especially for the state’s farmers. While drought across the western U.S. continues, El Niño weather pattern has brought temporary drought relieve to Texas and the plains states. The West can expect its warm and dry weather to continue through the summer, while the central Plains will be relatively cool and wet, according to a summer forecast released on May 21st by the National Oceanic and Atmospheric Administration. The Texas drought began in October 2010 and was the second-driest spell in the state's history. Texas and Oklahoma have already felt the force of El Niño-influenced weather, NOAA said in its forecast briefing. Both states were in a severe drought last year, but this spring, drenching rainstorms refilled the states' parched reservoirs to near capacity. LiveScience.com: The El Niño is a cyclic climate phenomenon that involves both the ocean and the atmosphere. One of its hallmarks is warmer-than-average sea-surface temperatures in the tropical Pacific Ocean. Although the El Niño fizzled last winter, the pool of warm water stuck around this spring and strengthened into a full-blown event. With an El Niño brewing in the Pacific, the warm tropical ocean surface has been helping set new global heat records this year. Global temperatures in April 2015 were the fourth warmest on record since 1880, said Jake Crouch, a NOAA climatologist. And the first four months of 2015 shattered old heat records. During January through April, the average temperature across land and ocean surfaces was 1.44o Fahrenheit (0.8o C) above the 20th-century average. This surpassed the previous record, set in 2010, by 0.13o F (0.07o C). "2015 is very warm compared to other years," Crouch said. "It has been really quite a bit ahead of the pack." When the El Niño weather cycle ends, the drought weather pattern across Texas, Oklahoma, and other plains states, is likely to resume. As the DFW Metroplex population grows to 25 to 40 million people by 2040, water rationing will be a persistent fact of life. As climatologists predict, a central feature of climate change are weather extremes - too hot and too cold, and too wet and too dry. Texas, Oklahoma, other Plains States and parts of the Midwest braced for continuing downpours that could cause flash flooding in rain-weary areas over Memorial Day weekend. Officials in parts of Texas are warning that flooding could last for weeks in the wake of unprecedented amounts of May rainfall. Those rainfall totals, which have now topped 20 inches since May 1 in at least two cities, will climb still higher over the Memorial Day weekend as thunderstorms dump even more rainfall on an already water-logged region. Over 100 locations in the central and southern Plains are currently reporting river flooding, the majority of which are in Texas, Oklahoma, Louisiana, Arkansas and Missouri. Texas Governor Greg Abbott: Deadly Flooding Is 'Absolutely Massive.' Abbott declares state of emergency for 24 counties, as relentless storms turn roads into rivers across the state. Many cities have already clinched a top five wettest May in their weather records. At least four locations, including Wichita Falls and Corpus Christi, have now recorded their wettest May on record. More than 750 people have died in southern India since the middle of April as soaring summer temperatures scorch the country. Officials said Tuesday that the southeastern states of Andhra Pradesh and Telengana have been hit the hardest. Daily temperatures in both states have hit between 45 and 48 degrees Celsius (113 and 118 degrees Fahrenheit). Officials have urged people to stay indoors as much as possible. The latest reports show that May 2014-April 2015 has followed up by tying that record. Now, with the El Niño pattern strengthening - with warmer sea surface temperatures in the eastern Pacific, near Peru and Ecuador - and with projections showing that it could be a fairly significant event this year, the risk of 2015 far surpassing 2014 on the list of hottest years on record is rising. Sea level rise, more frequent and severe heat waves, growing wildfire risks, and an increase in extreme weather events — these and other consequences of global warming were once largely preventable, but foot-dragging by our elected leaders and policy makers over the past two decades means that we must now confront the dangerous new reality of rising temperatures and the serious impacts that accompany them. Whether we call it man-made or not, in the end we’re all left with the same set of facts. The facts of “climate change” demand our urgent attention, especially in Washington. Good stewardship, prudence, and simple commonsense demand that we to act meet the challenge, and act quickly. Six Things Michael Mann Wants You to Know About the Science of Global Warming.